Sail away The sight of Santorini from the sea is stunning. Hop on a boat trip across the caldera to take in the awe-inspiring volcanic island. A clutch of nearby islands are also worth exploring. There is Thirassiaisland with the whitewashed village of Horio perched at the top of 250 stairs. And don't miss the volcanically active PaleaKameni and NeaKameni with their smouldering sulphur craters, natural hot springs and bubbling mud pools. 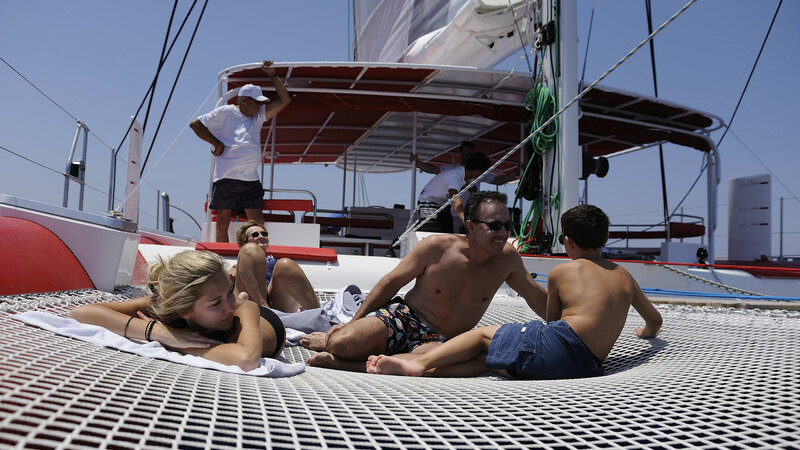 Sail in style with Captain Ted on board one of his gleaming white catamarans. 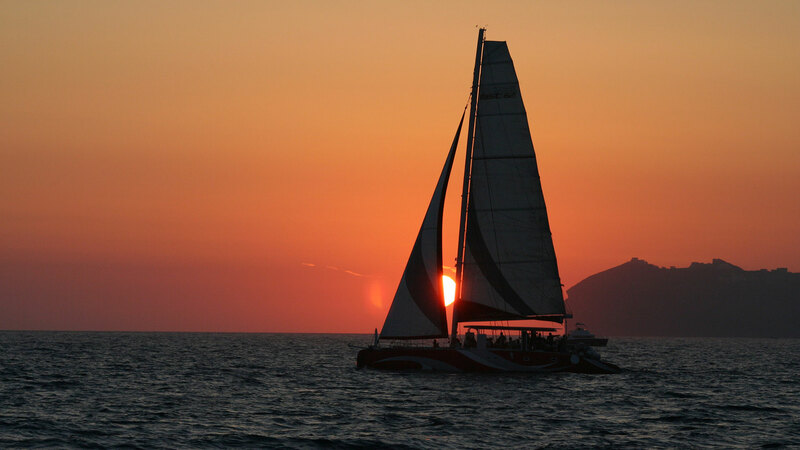 Trips include daytime or sunset tours with seafood and steak barbecue in a private bay, from £88 per person (00 30 694 424 1162; www.santorinisailing.com). Charter a sail with Captain Ted. 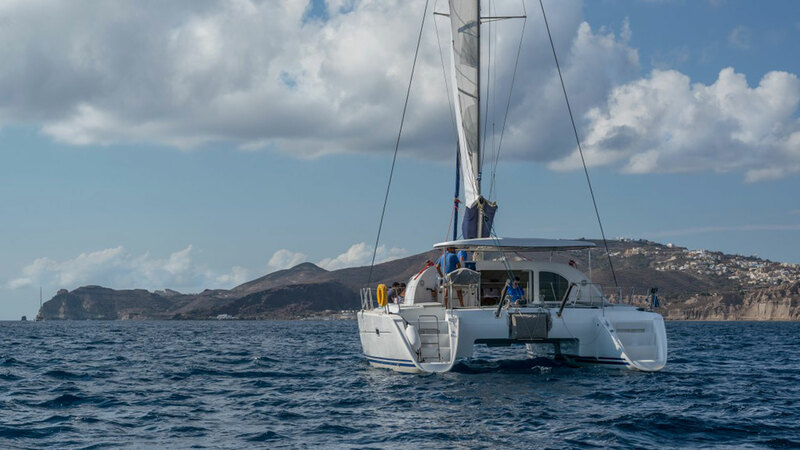 A Bergen County transplant, the sailor and his first mate will take you out on the 41-foot catamaran Blue Lagoon for a sail around the island. Highlights include swimming in the hot springs and the crew's barbecue dinner-a fantastic spread of Greek salad, grilled calamari and shrimp, fresh eggplant salad, and steak. FOR A PERFECT BOAT Ted Stathis is an American expat of Greek descent, who spent summers crewing for his cousin's yachting business in Greece and finally moved over to skipper one himself. Now he's the captain of a 41-foot lagoon catamaran perfect for an afternoon day sail, fishing trip, or overnight charter. He also does an extraordinary lunch of salads and pastas to go with the fish, prawns, or chicken that he grills to perfection on deck. 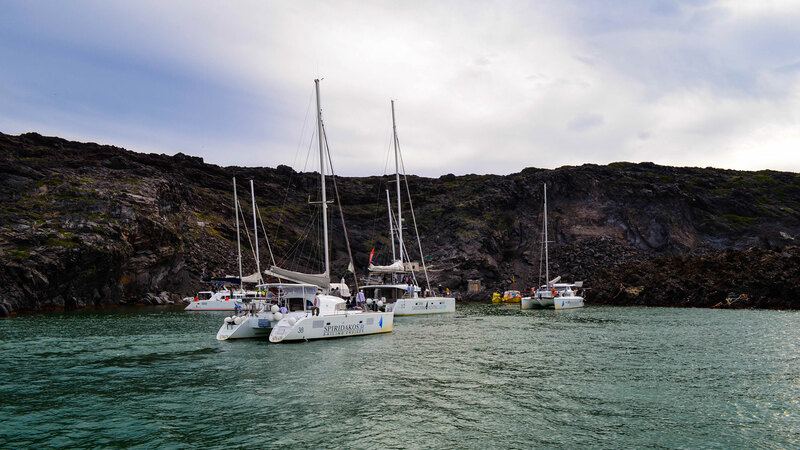 For an unforgettable way to experience Santorini's Blue Lagoon and fantastic island views, charter a catamaran with Blue Lagoon Cruises. 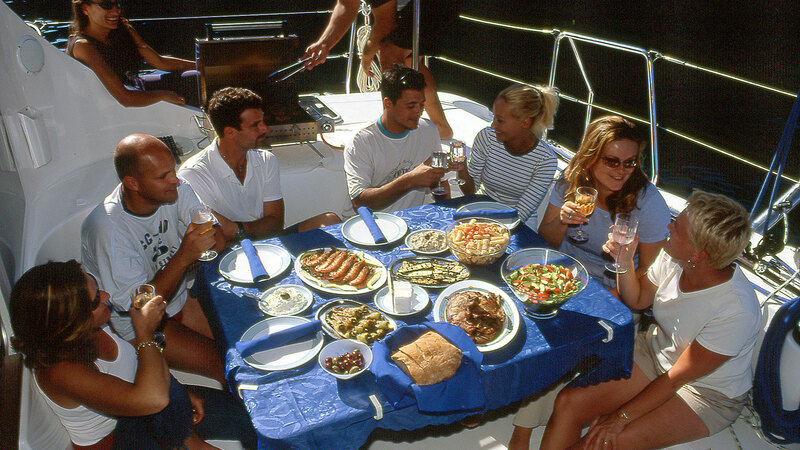 Each of the 3 luxury boats is equipped with swimming platforms, a trampoline, plenty of deck space and a fully equipped galley and bar where the crew whips up a feast of grilled fish, Greek salad and steak. Set sail to secluded bays, and swim in the hot springs before returning to shore.